Cycling is the healthiest and greenest method of commuting. It’s easy to navigate through heavy traffic in the city with a bicycle. At the same time, cycling under the sun is a fun workout. However, bicycle accidents have become ordinary. In 2015 alone, 45,000 bicycle accidents were reported and over 800 were killed. 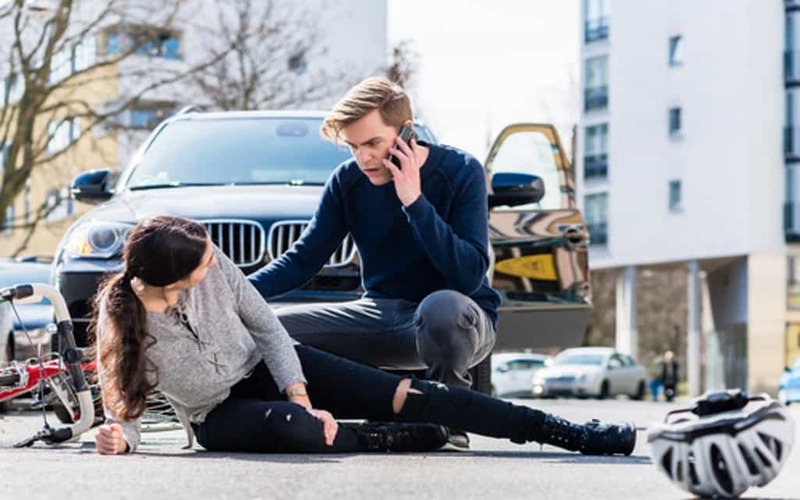 These cycling tips from the Dominguez Firm’s bicycle accident lawyers can help you get around to be a part of the statistics and avoid bicycle mishaps. On top of that, you should not forget to test the bike if it’s the proper height for you. You must be able to comfortably sit and ride your bike without difficulty for a long period of time. Adjusting the bicycle height that’s most appropriate for you is very important. A bicycle is also a vehicle. When you ride your bicycle, you’re bound to follow the same traffic rules and regulations. That said, drive in the same direction of the vehicle traffic. Don’t bike going in the opposite direction. You’re just practically exposing yourself in a lot of dangers. If there’s a bicycle lane, always drive within the lane’s boundaries. If there’s no bicycle lane, drive at the slow lane. Observe road rules and signs as well. Drive on the right side of the road and keep yourself away from speeding vehicles. Always keep yourself visible when you’re biking. Especially when you’re cycling in the afternoon or at night. Or, when you’re cruising dim roads or pathways. Equip your helmet and bicycle gears with reflectors. Use bicycle lights to keep you illuminated and visible by other cyclists and drivers. Keeping yourself visible lets you stay within the driver’s view. You’ll be able to provide caution and warning to other vehicle drivers as well. Cyclists biking at night without proper lighting equipment and reflectors are prone to accidents. Overlapping is a huge no-no. There’s no logical reason why two cyclists have to do this. Overlapping wheels are an easy recipe for bicycle disaster. It’s easy to commit this mistake due to loss of concentration as well as frustration with other riders, especially the slow ones who are in your way when you’re in a hurry. The best way to minimize contact is not by locking your brakes up and swerving. Instead, distance yourself a little bit and ask the other rider to either pick up the pace or let you move past behind them. If you see other riders engaged in this situation as well, warn and correct them to prevent any accident from happening. Preparing yourself for the ride is the first step. This means that you must be fueled with food and should stay hydrated. Otherwise, you’ll easily lose concentration. Worse, you can get tired easily and become sloppy on your bike. Next is to be relaxed. Cycling is supposed to be fun. Avoid being too anxious, distracted, tensed, and/or aggressive. These emotional and mental states could easily land you into trouble and fatal crashes. Keep calm, feel relaxed, and maintain a natural and comfortable position throughout the whole ride. Lastly, always follow road rules and cycling best practices. Watch out for road hazards and be prepared to maneuver past them. Corner with utmost caution and focus your eyes on the road. Never rotate your pedals when you’re approaching a corner. Instead, keep your left foot at the 12 o’clock position whenever you’re riding around a left-corner and vice-versa. Following these best practices as well as following road traffic rules are keys to avoid bicycle accidents. It doesn’t matter if you’re a professional cyclist or if you’ve mastered the routes; always err on the side of caution. Otherwise, you’ll pay a huge amount for the legal, medical, and equipment bills. Worst, a bicycle accident can cost you your life.